Our range of products include sambrani making machine, sambrani press and chine testing machine. Sambrani Making Machine. Widely regarded for their hydraulic operation, these machines offer high production capacity. Manufactured using high-grade metals obtained from the credible vendors, we assure the premium quality of the entire range of cup sambrani making machine offered by us. 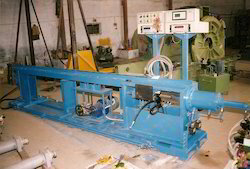 SAMBRANI MACHINEManufacturer & Exporter of SAMBRANI MACHINE & Sambrani Making Machine. Our product range also comprises of Construction Equipment, Hydraulic Machines and Hydraulic Cylinders. Owing of our extremely talented team of professionals, we are engaged in offering excellent quality Chine Testing Machine. Our offered testing machines are accessible in various specifications to choose from. The offered testing machines are developed with leading techniques and quality-proven material in sync with the set standards. 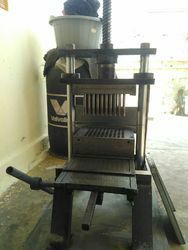 Also, we are giving these testing machines to our customers at nominal rates. Looking for SPECIAL PURPOSE MACHINE ?